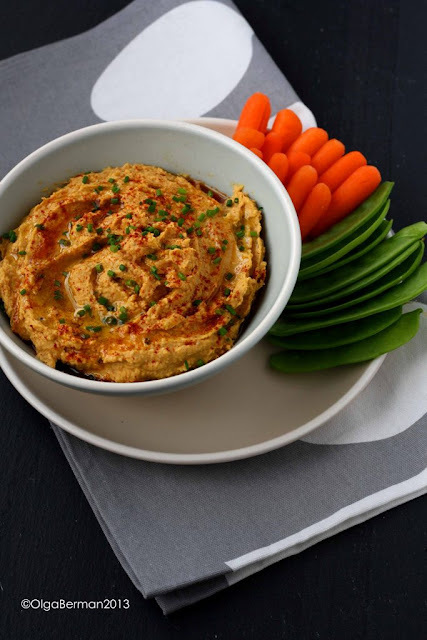 Mango & Tomato: Love Hummus? 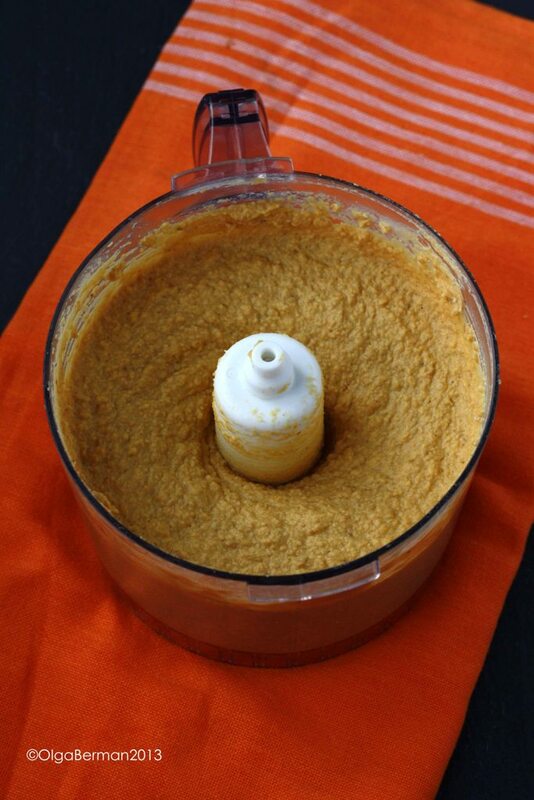 Then Make This Roasted Sweet Potato Hummus! Love Hummus? Then Make This Roasted Sweet Potato Hummus! I ♥ hummus. It's great as a dip or a spread on a sandwich, or just eaten with a spoon. 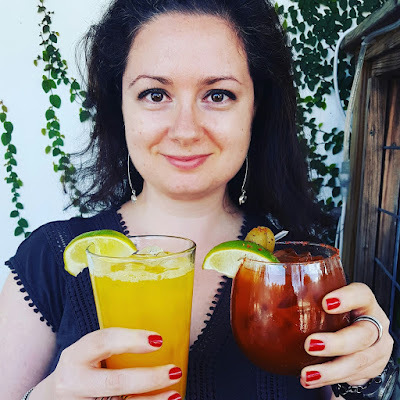 This weekend I had a friend over for some girl time (champagne drinking, nail painting, reality TV watching) and wanted to make a few snacks. Instead of buying or making a plain hummus, I ended up using roasted sweet potatoes from a dinner I made earlier in the week. Originally I roasted sweet potatoes and red onion seasoned with chili powder, salt, pepper and a bit of dry thyme. I served those with cooked at home (vs canned) chickpeas, arugula and lemon juice. The leftover roasted sweet potatoes, red onion and chickpeas got a new life in this dip! 1. In a food processor puree the first five ingredients adding water as needed. 3. 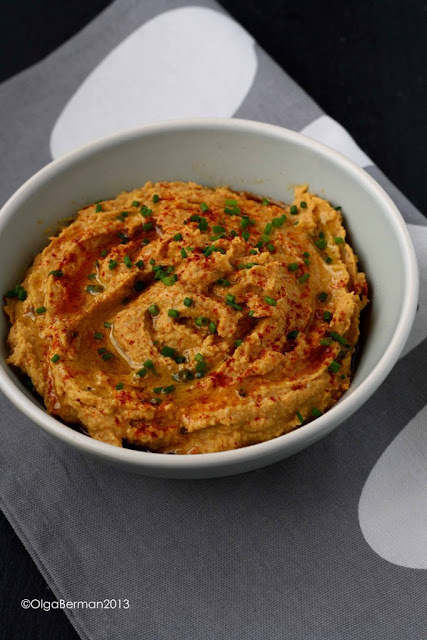 Serve this roasted sweet potato hummus in a shallow bowl or a plate drizzled with olive oil and topped with smoked paprika and chopped chives. 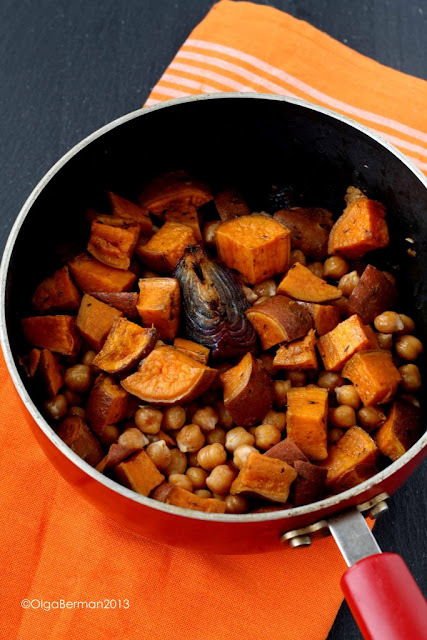 The roasted sweet potatoes gave a rich flavor to the hummus and a bit of a golden color. Because I used chickpeas I cooked myself, they were more firm than the canned ones and did not completely get pureed, which I actually sort of liked. 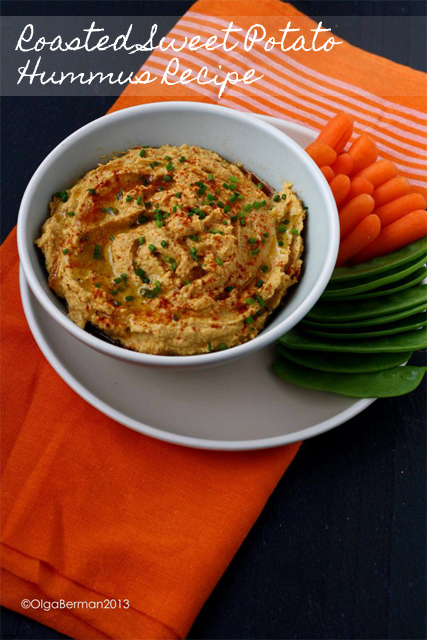 Serve this hummus with carrots and snow peas or crackers!